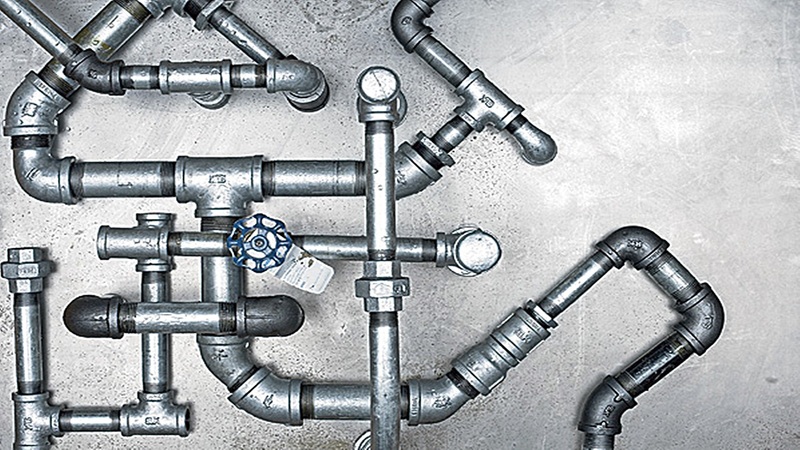 Plumbers run very different businesses from traditional companies. A restaurant may use their website to advertise their menu and their specialties. Contrary to that, you need to generate leads from your plumbing website. Unlike the restaurants, your success is calls and contact forms, and not foot traffic to your restaurant. What do you do / offer? Today I am going to discuss my findings on 3 plumbing websites: Orange County plumbing heating and air conditioning (OCPHAC), Pristine plumbing and Scott Harrison plumbing. I know that I have mentioned this in the past, but this is the most important aspect that needs to be catered to – a prominent call-to-action. OCPHAC does just that. As soon as you land on homepage, BAM! You are greeted with the message – “Get help now”. Pristine plumbing and Scott Harrison plumbing operate on the same grounds too. Both of them have an immediate call of action which is a huge plus point in generating leads. We then move forward to the services offered by these websites. Like a menu is an illustration of a restaurant’s abilities, the services symbolize the company’s talent. Pristine plumbing advertise on the lines of 24×7 provisions of plumbing services. OCPHAC and Scott Harrison plumbing offer a wide range of plumbing services too, both residential and commercial. Pristine plumbing, Scott Harrison plumbing and OCPHAC – all offer a toll free number to get in touch with them to avail their services. Apart from this, they also offer a small form for you to fill in your address and contact number to book an appointment with them too. These facilities make the websites user-friendly and very easy to operate. Sometimes, even the most user-friendly sites may fall short to design for the lowest common denominator. Therefore, to take care of the unforeseen problems there is always a facility for chat support. Pristine plumbing is the only website that offers this facility to its users. OCPHAC and Scott Harrison plumbing do offer you a form to fill in your enquiry and send it to them for a response but they don’t have a chat support system setup. Who can overlook this? There is nothing better than getting a discount or getting some service for free. Each site has a section and filter just for special deals. I personally am a sucker for coupons, whether its food deals or deals on other services. Scott Harrison plumbing has a separate section under the heading – view specials/ coupons. OCPHAC offers financing options for your plumbing needs and even offer coupons which can be redeemed. Pristine plumbing doesn’t offer any such coupons on their website. More and more people have gained access to mobile phones these days. Gone are the days when mobile phones were out of the reach of a common man. As a result, loads of websites have started getting mobile friendly and can be accessed through non- desktop devices. Scott Harrison plumbing, OCPHAC and Pristine plumbing have also taken non-desktop devices into consideration and services from these websites can be accessed through desktop and non-desktop devices easily. Reviews on a service website can play a very pivotal role in affecting sales and generating leads. Most of the people, these days, do a bit of research from their end before taking up any service. OCPHAC, Pristine plumbing and Scott Harrison plumbing – all of them have their testimonials and reviews uploaded on their respective websites for the viewers to read and analyse their services. Pristine plumbing even provides for a shortcut to access their customer reviews in one click. Color scheme and font are important aspects of any website. More attractive a website, more traffic it tends to attract. Colors affect the psychology of an individual and different colors incite different emotions. Orange County Plumbing Heating and Air Conditioning, Scott Harrison plumbing and pristine plumbing – all have relatively dull websites with more whites, blues and black. There are traces of orange and red which add enthusiasm and energy on a website. Colors play with the human mind and are a very essential tool in attracting customers to your website.